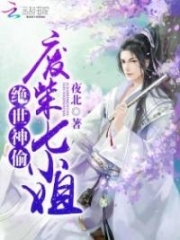 You’re reading novel The Demonic King Chases His Wife: The Rebellious Good-for-Nothing Miss Chapter 183 online at LightNovelFree.com. Please use the follow button to get notification about the latest chapter next time when you visit LightNovelFree.com. Use F11 button to read novel in full-screen(PC only). Drop by anytime you want to read free – fast – latest novel. It’s great if you could leave a comment, share your opinion about the new chapters, new novel with others on the internet. We’ll do our best to bring you the finest, latest novel everyday. Enjoy! Su Zian’s heart secretly thought, perhaps this loathsome girl knew her capital offense was impossible to escape from, thus she was scared senseless? Su Luo, with great difficulty, finally stopped laughing. She waved the book. Her eyes sweeping everyone present one by one, and finally, her black as ink eyes met Su Zian’s. Her eyes had an obvious mocking expression. “Honorable father, since you’ve seen it, whose name is it that is signed on this?” Su Luo raised her eyebrow, her voice unhurriedly asked. It was as if, in the room, the martial artists deliberately exuding a strong overbearing pressure did not faze her at all. Su Luo laughed and shaking her head, slowly said, “Yes, the two words on this paper are Su Luo, however, the biggest flaw also lies in these two words. There was actually a flaw? Mr. Mo and Madam Su both frowned slightly at that moment, in their opinion, the evidence prepared had been completely foolproof, how could there be a flaw? “What flaw?” Su Zian’s eyebrows knitted together. “It’s very simple reasoning. Let’s say it this way, honorable father. If you were to go to the Mercenary Union and issue a task to a.s.sa.s.sinate somebody, would you sign the three characters of Su Zian?” Su Luo raised her eyebrow and smiled faintly at them. This was an error in thinking. The opponent wanted to frame her, therefore had deliberately wrote her name, treating it as proof that she was the criminal. However, they forgot about a normal human heart’s logic. When doing bad things, who would dare to openly write their real name? Let alone when ordering such a nasty task as tarnis.h.i.+ng the third Miss Su’s innocence? Su Zian was suddenly stumped by the question. In fact, what Su Luo had said was completely right. If you were to go and do bad things, who would dare to openly write their own name? Who wouldn’t go and do it secretly? Asking himself honestly, if he were to go and issue this type of task, even if he were to die, he would not write down his real name. That being said, Su Luo was actually innocent? Could it be that somebody was trying to frame her? At this moment, Su Zian’s expression became unsettled, suddenly dark or suddenly light, making it impossible to know what he was really thinking. How could the crown prince let Su Luo escape this calamity so easily? Su Luo almost rolled her eyes. Was her IQ that low? Who was dumb enough to do that? Her habit of doing things was to have every step calculated. If she hadn’t planned out everything afterwards, then she wouldn’t take any action. She wasn’t like that stupid Su Wan, with so many flaws that the plan collapsed. However, Su Luo did not expect that a few words could clear her reputation so easily. Those words were capable of swaying Su Zian’s heart and had already achieved the desired effect. “Also——” Su Luo’s ancient well-like eyes did not even ripple as she unhurriedly looked around. Finally, her eyes fixed on Mr. Mo, and she coldly and clearly asked, “Mr. Mo, let me ask, that day at the Mercenary Union, was it really me? Did you personally see me? Mr. Mo did not expect that Su Luo’s ordinary, serene eyes would be so overbearing. Under a gaze of such aggressive strength, he had an irrepressible feeling of guilt. How could it be like this? Didn’t Nanny Zhao say that Su Manor’s fourth girl was a good-for-nothing, and was very easy to deal with? You're reading novel The Demonic King Chases His Wife: The Rebellious Good-for-Nothing Miss Chapter 183 online at LightNovelFree.com. You can use the follow function to bookmark your favorite novel ( Only for registered users ). If you find any errors ( broken links, can't load photos, etc.. ), Please let us know so we can fix it as soon as possible. And when you start a conversation or debate about a certain topic with other people, please do not offend them just because you don't like their opinions. You're reading The Demonic King Chases His Wife: The Rebellious Good-for-Nothing Miss Chapter 183. This novel has been translated by Updating. 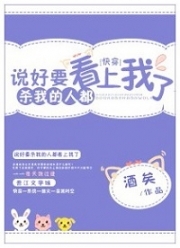 Author: Su Xiao Nuan,苏小暖 already has 14282 views. Current Time is Apr-19-2019 14:38:34 PM.